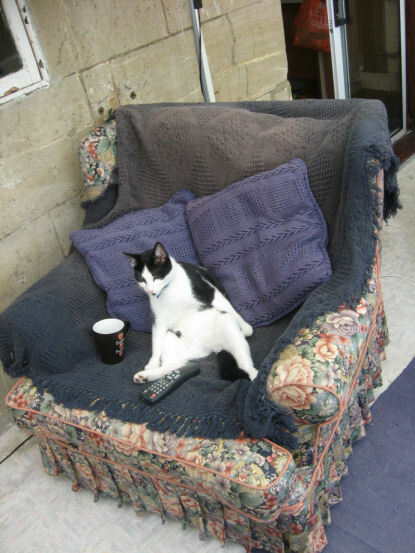 At the end of a long day, Dexter likes to sit down with a mug of coffee and watch some TV. Dexter is awesome! Did Dexter choose those cusions? 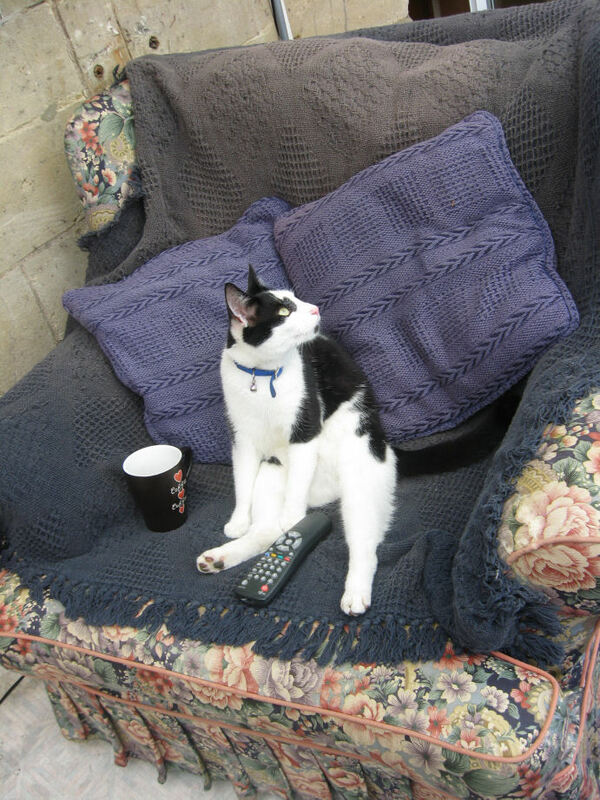 Any chance I could lend Dexter to my wife’s uncle please John? He can’t work his remote, y’see. Er, why is that chair outside? Heh – the “conservatory” on our rented house is a sort of lean-to hastily stuck to the side of the original house. It’s classy.